How much university students learn in their studies is highly debated and important to understanding the value of higher education. Yet, information on learning gains at this level are scarce. 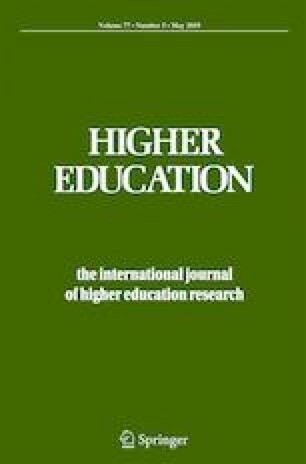 Our paper contributes to the debate by using unique data for Brazil to estimate absolute test score gains across various fields of study in higher education and to assess whether students who attend certain categories of programs (public/private, research/non-research, highly selective/less selective) make greater relative gains than in others. Our results suggest that students in STEM fields tend to have higher absolute achievement gains compared to students in humanities and pedagogical programs, and that in a few fields, such as civil engineering and history, the relative gains for students in highly selective programs in that field of study are significantly higher than if they had attended somewhat less selective programs. However, students attending lowest quintile selective programs in a field of study have consistently lower gains across a range of study fields than similar students attending programs just one quintile higher. The results have important implications for the equity effects of higher education. The online version of this article ( https://doi.org/10.1007/s10734-019-00376-6) contains supplementary material, which is available to authorized users. Times Higher Education (2018). World University Rankings 2018 methodology. https://www.timeshighereducation.com/world-university-rankings/methodology-world-university-rankings-2018 Accessed 1 March 2019.